Are you searching for an alternative option to physical closed matter file storage? Looking for a solution to digitise your legal documents and store them securely? Maybe you want to save money by reducing what you spend on outsourced file storage, or are a small firm simply looking to reclaim your office space from hundreds of paper closed matter files. If so, allow us to introduce ScanLegal; the Digital Closed Matter File solution that says goodbye to physical closed matter file archives. Simply put, ScanLegal uses a secure Scan Bureau facility to upload, index and convert your closed matter files into a fully digitised format, giving you instant, secure access and saving you time and money. 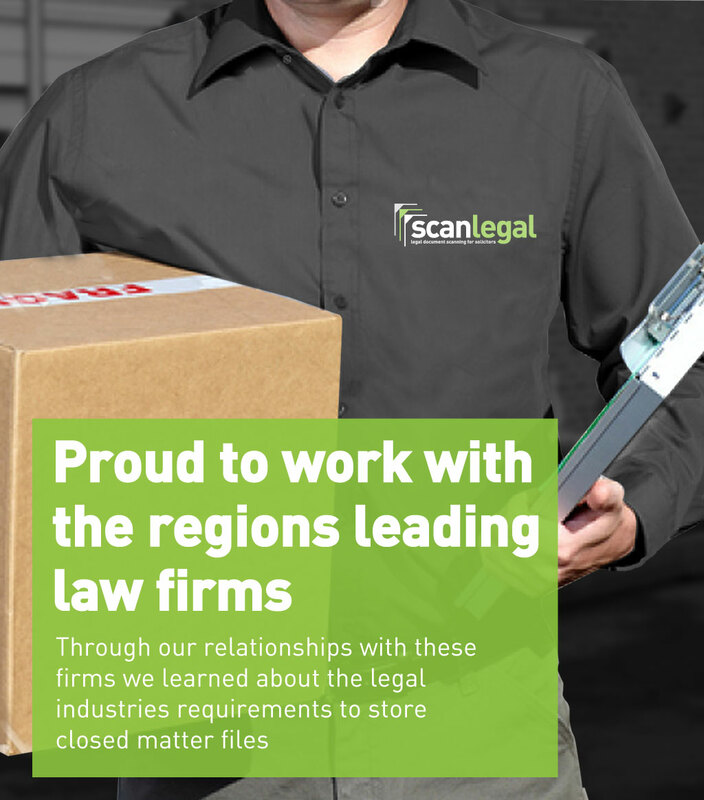 Working with some of the leading law firms up and down the M62 corridor, ScanLegal is here to help practices from Manchester to Leeds – and everywhere in between – bring their closed matter file storage into the 21st century. How did ScanLegal come about? ScanLegal is the result of our long-standing relationships with some of the region’s most forward-thinking law firms. They trusted us enough to open up about the problems they face with closed matter file storage, and trusted us to come up with the solution. ScanLegal solves the problems that firms like you have told us arise from the SRA imposed Closed Matter File Policy. Who does ScanLegal work with? ScanLegal is proud to work with some of the best-known legal practices in the North of England, small and large. But we don’t measure success based on the size of the firms we work with, we measure it based on customer satisfaction and the value we can add to firms by working with them to solve their document storage problems. Whatever the size of your firm and your digital document storage requirements, we’re confident we can help. Futureproof your firm, reduce costs and save valuable time – start your ScanLegal journey today.